Discover top attractions around Mostar and Međugorje on this adventurous day trip from Makarska. Hop into your air-conditioned minivan at your Makarska hotel and head onward into Bosnia and Herzegovina. On route, read up on the country’s history in the information pack provided. 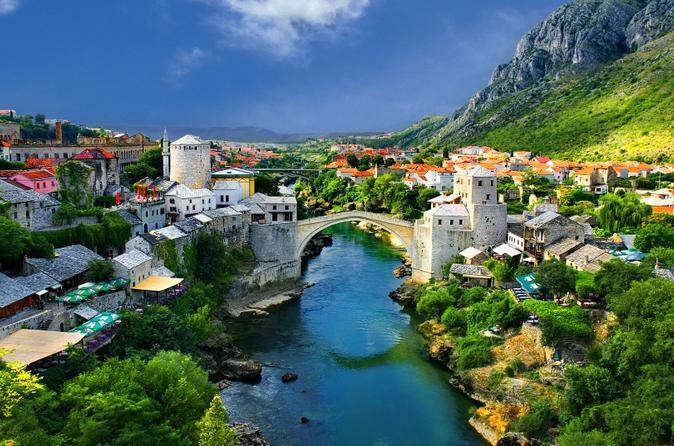 Enjoy over two hours of free time to explore Mostar’s UNESCO–listed Old Town at your leisure. Continue on to Međugorje — a popular Catholic pilgrimage site — and admire local landmarks including St James’ Church. Upgrade your tour to explore Mostar and Međugorje with a guide.